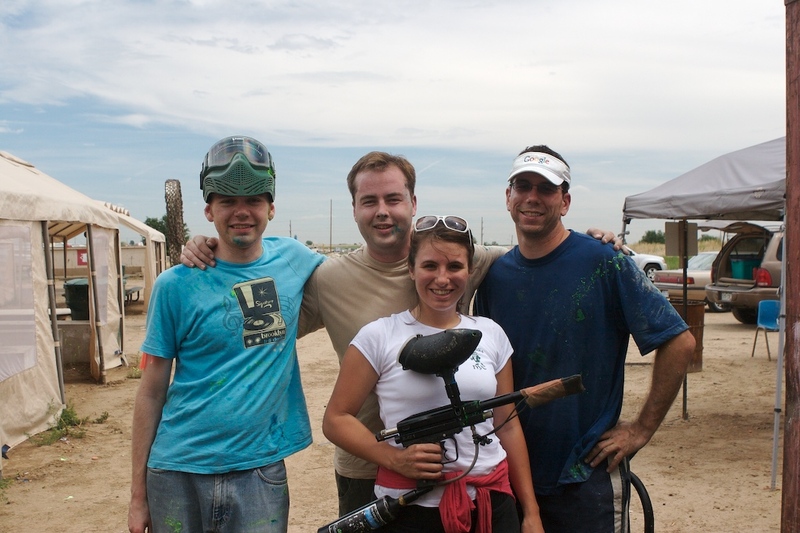 The PBwiki team is Colorado for our annual offsite this week, and on top of a bunch of regular work we’re doing a couple of great activities — here’s some photos from our paintball session this morning. hehe look at the clouds! it looks scary! did it start 2 storm? @Abbie – those are looming thunderclouds, yes. I used a polarizing filter for most of these and that tends to make clouds look more ominous than they are. It’s been a little rainly here in the evenings but hot and clear during the day, very pleasant all told. Ramit, you have the mug of a true paintball killer. The paintball version of Jean Reno in The Professional. 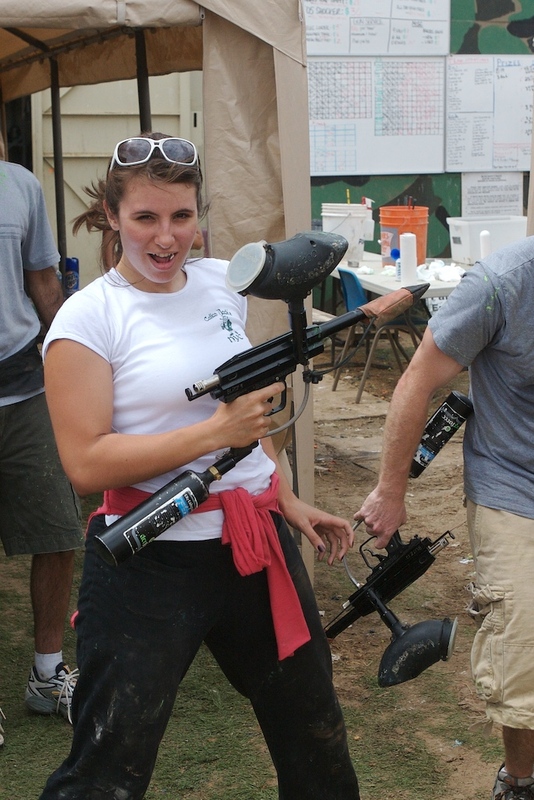 We love to see pictures of people paintballing! Just curious if you all had fun and if you are regular players or not? Out of all the guns, which did you like the best? We are always on the lookout to hear what people think of the various makes and models and if they had any problems. 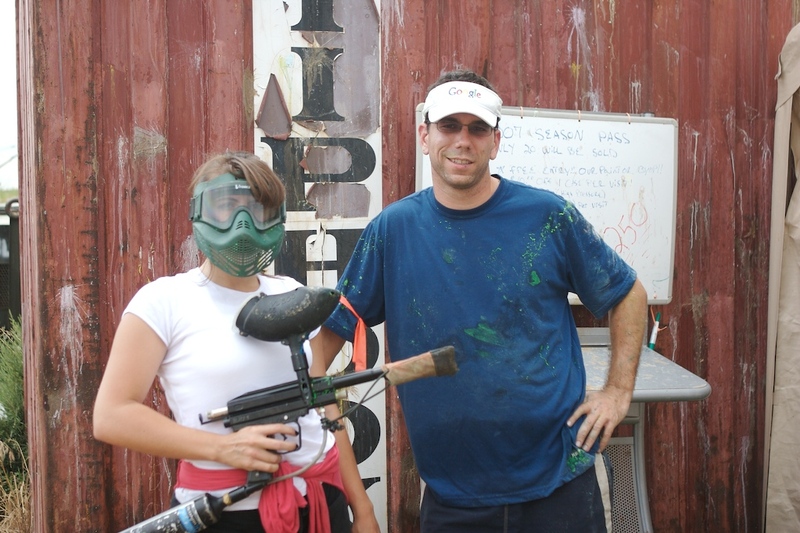 Those opinions are invaluable to guide paintball enthusiasts to the right buying choices. Keep playin, and nice photo with the paintballs on the ground it looks cool! Yes I agree it is a nice blog with great pics! I agree; great pics & great blog. 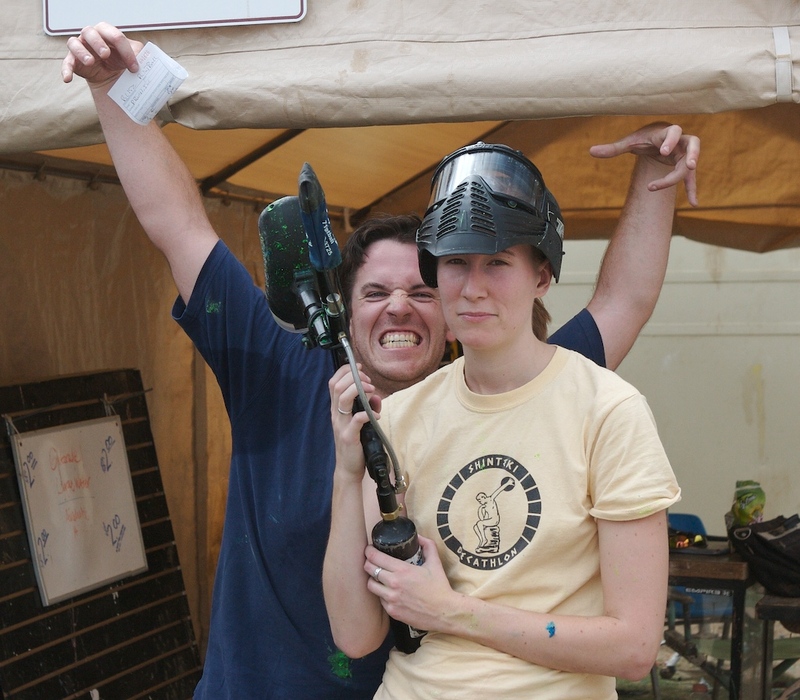 Keep paintballin’!!! God blog and great pictures… tank you for sharing with us. 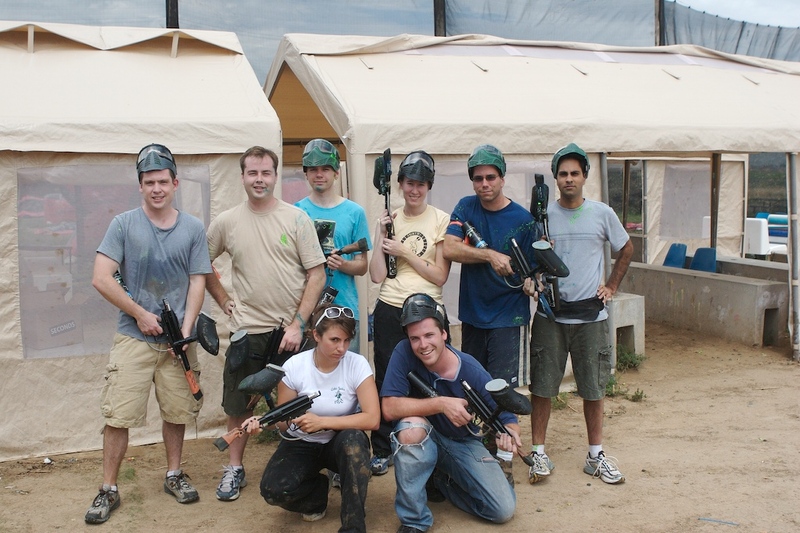 Strangely enough, I’m drawn to the picture of the dirt and paintballs… Looks like everyone had fun. Where were you? 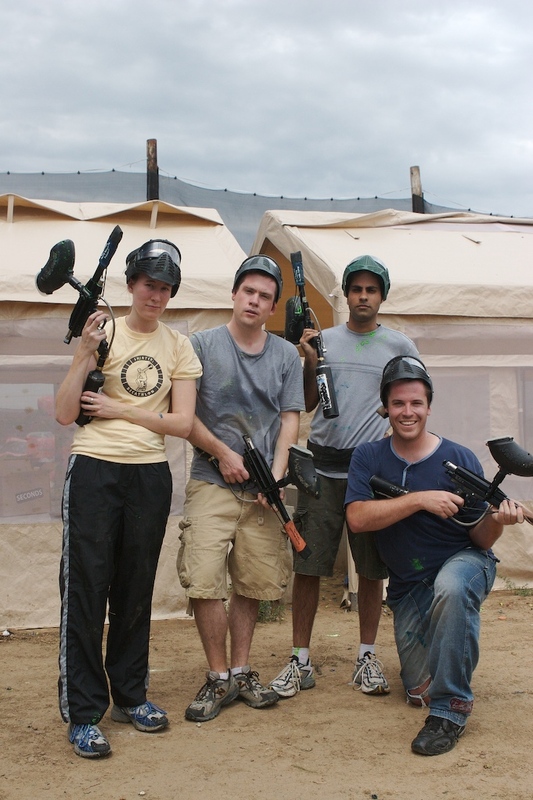 It doesn’t look like you had much to hide behind, but it looks like everyone had a great day paintballing! I use these guys Paintball Leeds whenever I book, they have some unbelievable game zones with castles and buses!